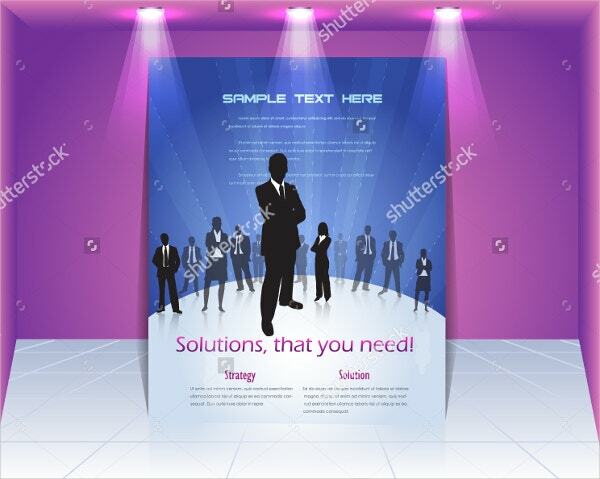 To ensure that your party stands head and shoulders above the rest, you need to use a stunning flyer. 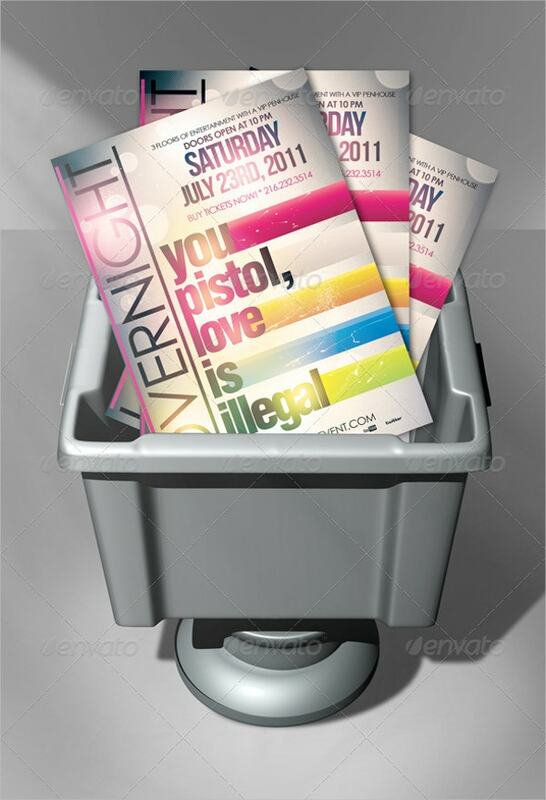 Each of these 3D flyers contains a three-dimensional effect, highlighting the main points about the party or the event. 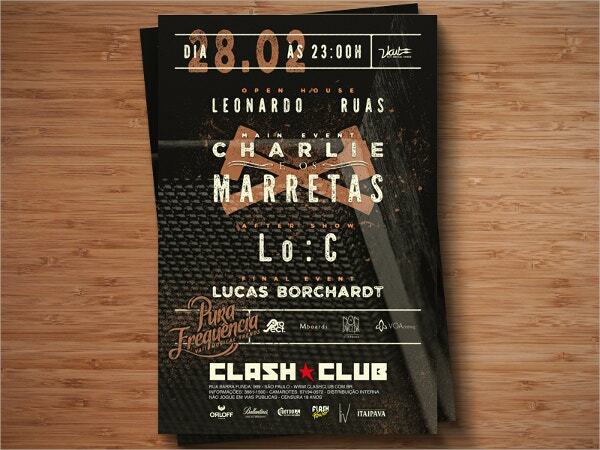 Also, these flyer templates use an unconventional design which makes them fairly innovative and creative. All you have to do is browse through this exhaustive list of templates, choose the one you think goes with your event and download it! You can also see Racing Flyers. Are you planning to have a grand bash anytime soon? Then you are going to love this template. It is ready to print and comes with a set of guidelines. Also, this template is fully editable. You can also see Social Media Flyers. 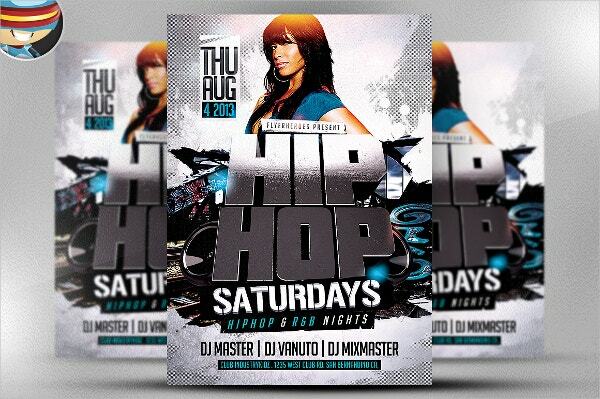 This hip-hop themed template would be perfect for a party or even clubs. Speaking of the design, it has been kept stylish yet simple. It is not too flashy and focuses more on the textual elements. You can also see Spa Flyers. A three-dimensional effect has been created in the template with the help of yellow and grey waves. The template has a formal tone about it and should be reserved for professional use. You can also see Safety Flyers. The soccer themed template would be perfect for sports lovers. It comes in a standard size with editable images and text. You can also take inspiration from the font in the illustration. 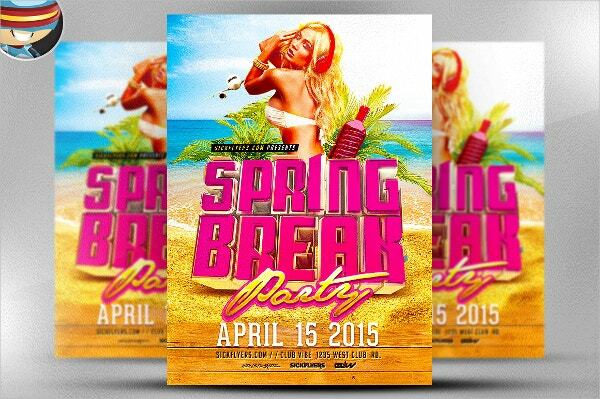 The illustrations on this template immediately conjure up images of spring break. 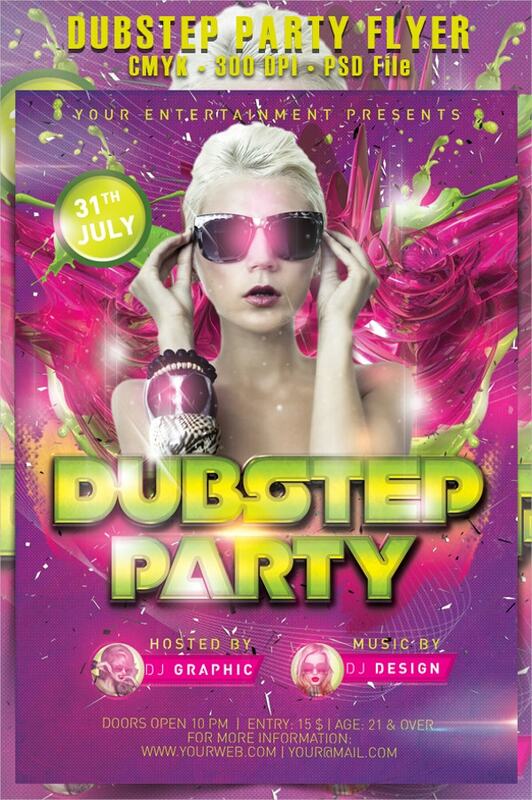 This flyer template would be the perfect way to advertise that. You can also make use of both sides of the template. In case you need to advertise for business, you could make use of this stunning vector flyer template. It consists of a neat and organised layout which makes it look sophisticated. 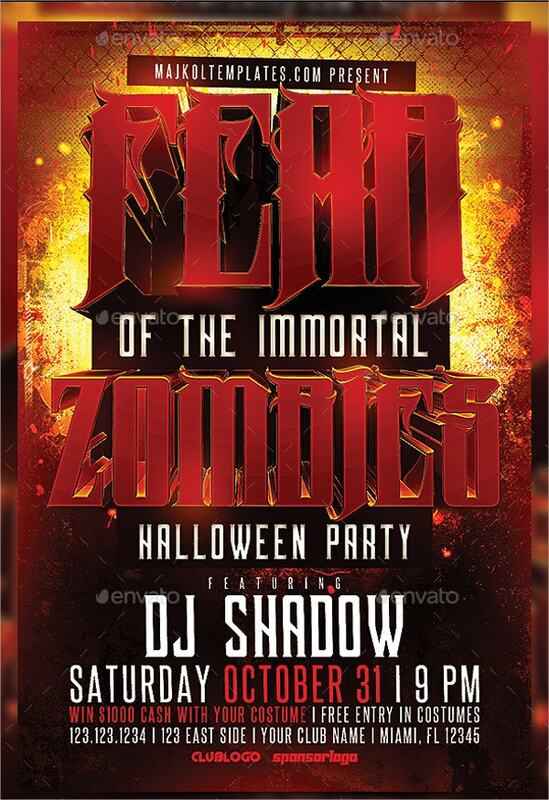 Since it’s Halloween, you’re going to need a template like this which creates a thrilling ambience. 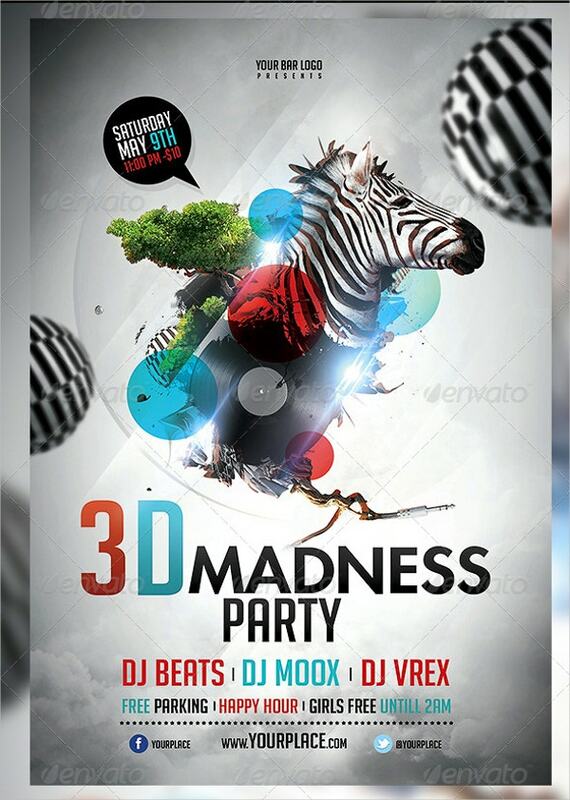 The vibrant colour combination and the 3D effect created in the template make it perfect for flyers. 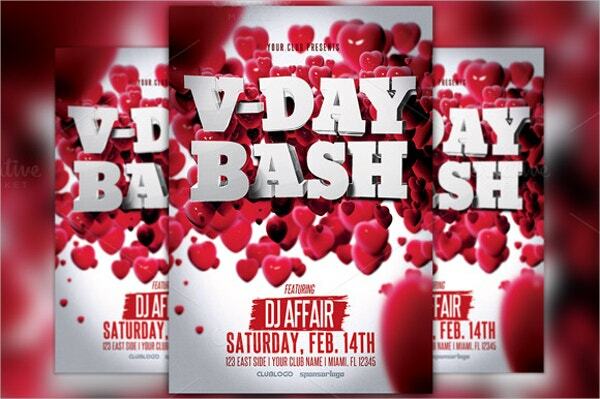 Celebrate Valentine’s Day with this amazing flyer template. Such a special flyer would be incomplete without three-dimensional hearts and the conventional red and white colour scheme that you see here! This template is quite versatile in the sense that it can be used for a number of different reasons. 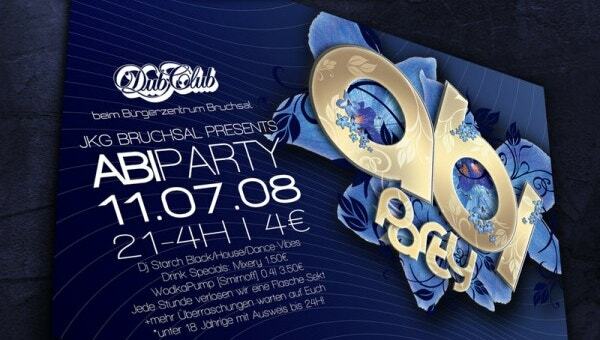 To advertise for any kind of party, you can make use of this flyer template. This template comes with a unique and rather unconventional design. It uses a resolution of 300 dpi and CMYK colour mode. You’ll also be given complete access to the font links. 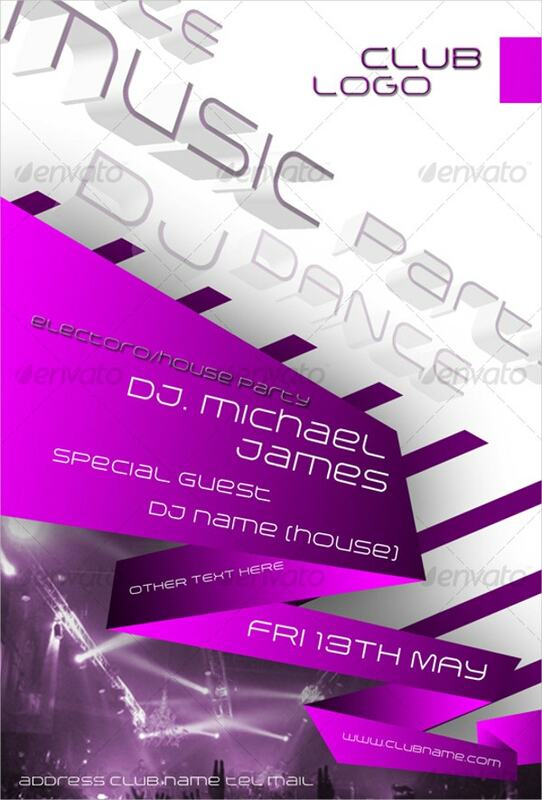 This party flyer template comes with three dimensional text, adding a textural component to the it. Also, it uses neat and organised layered psd files. Plus, it comes in a fully editable format as well. For a futuristic theme arty, you can make use of this template. It consists of fully layered psd files and a resolution of 300 dpi. Also, the format has been kept print ready. You just have to download the template, alter certain details and print the template! 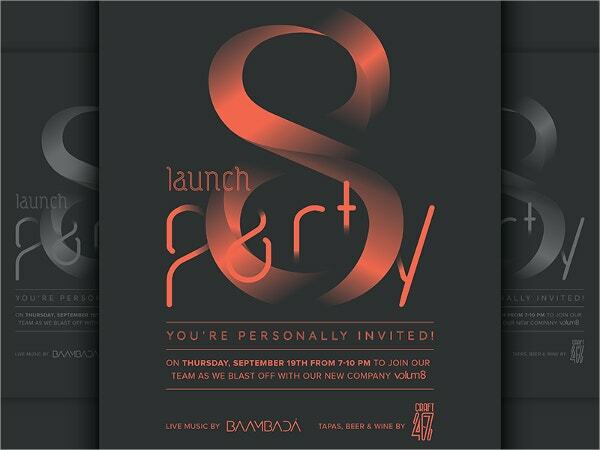 For a launch party, you can make use of this template. The design has been kept relatively minimalistic which makes the template look sleek and quite stylish. It also adds a touch of elegance to it. 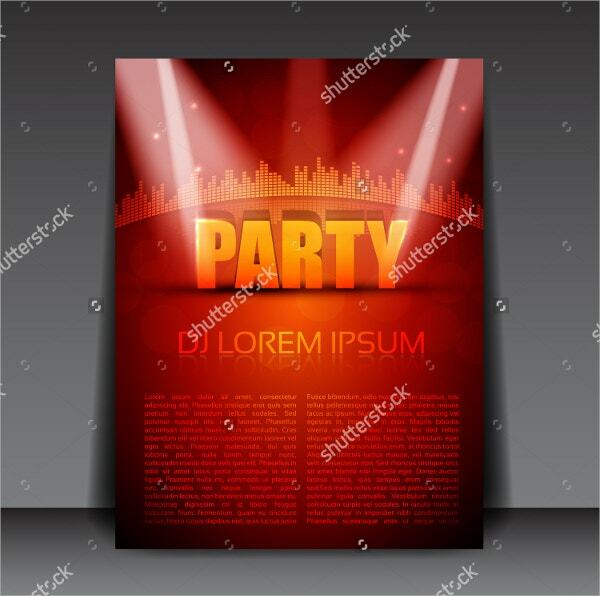 If you’re having a party, you should use a flyer template with a modernized and contemporary design that catches the eye. 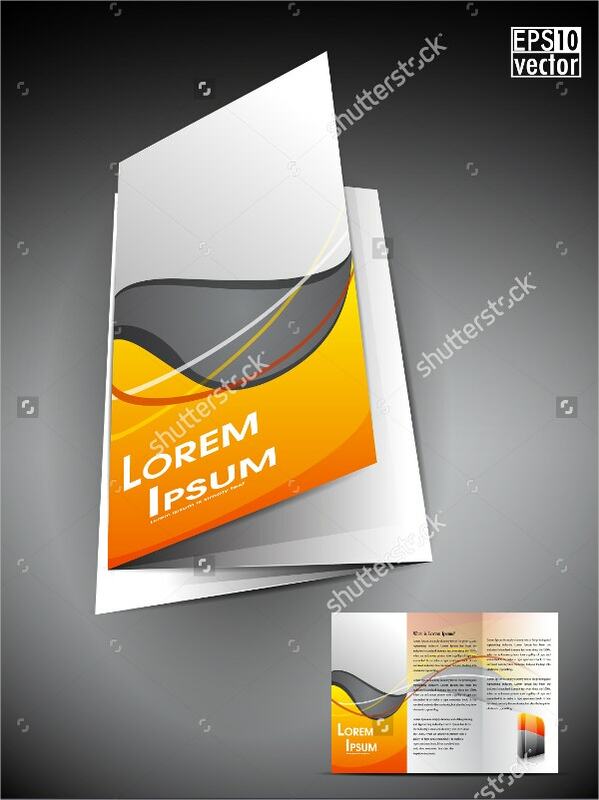 This template boasts of stunning graphics and unusual fonts, all of which would be included as part of the deal. 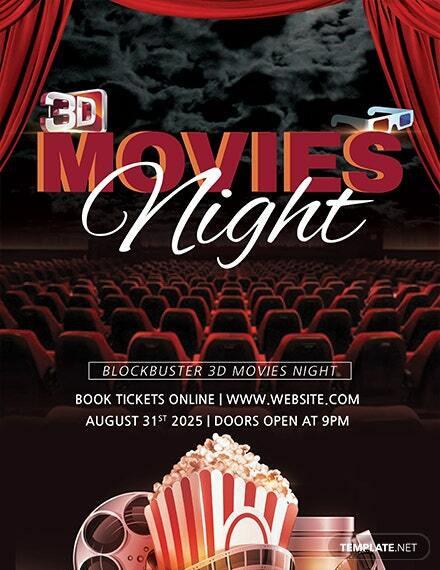 The use of three dimensional graphics in this template is commendable. It comes in a psd file which is fully editable in Photoshop. Also, you would be getting a help file containing certain guidelines and instructions. You can also see Bingo Flyers. 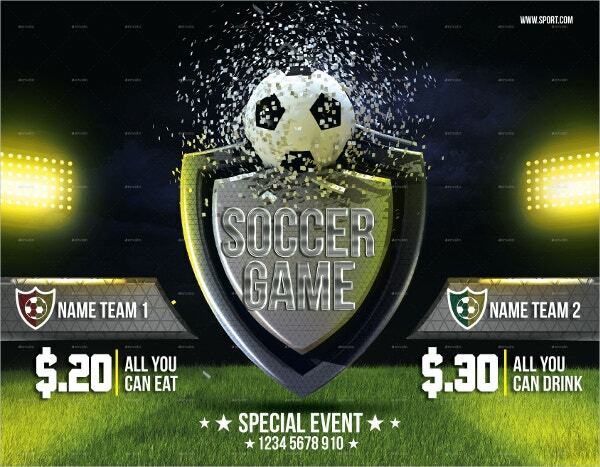 Simple and commonplace designs have been given a special touch in these flyer templates with the 3D effect. 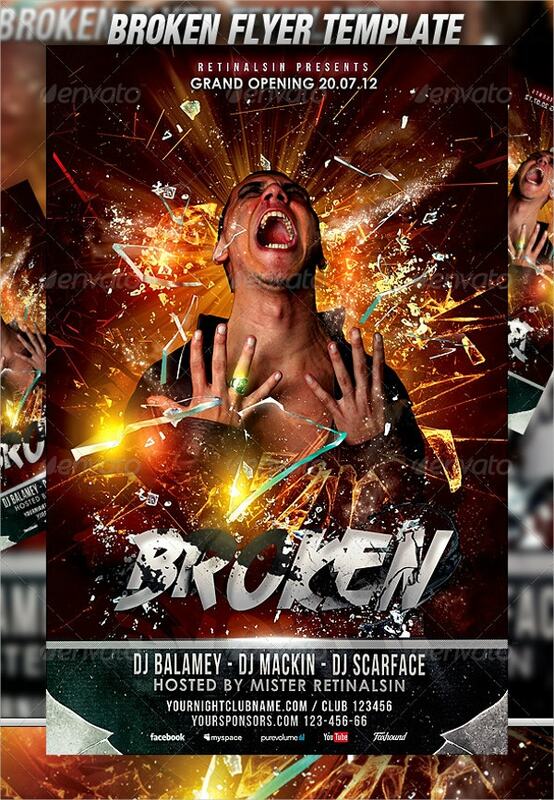 These are some of the best modern flyers which can give your party the x factor it needs. 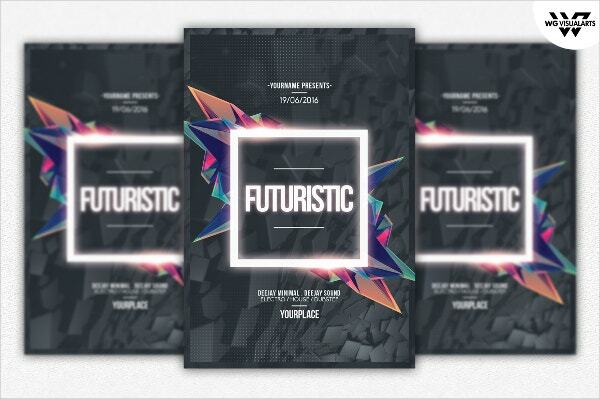 Plus, these amazing flyer templates are really easy to use and download as well!